Guernsey athletes wanting to compete at the 2014 Commonwealth Games will have to run the qualification time for their event twice in order to be selected. Athletes from the island previously needed to make the required level just once to be considered for selection. "The standards are meant to be tough as we want athletes to be aiming for semi-finals at the very least," said island development officer Steve Green. "We have the potential to send our largest athletics team." 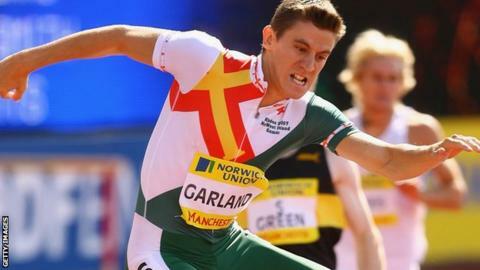 Six island athletes have already posted the minimum 'B' standard times needed for Glasgow 2014, led by and 400m hurdler and decathlete Dale Garland. Natalie Whitty has made the time in the 800m, sprinter Tom Druce has made the time in the 100m and 400m, as have hurdler Glenn Etherington and long-distance runner Louise Perrio. There are also hopes that sprinters Hywel Robinson and Josh Allaway can make the grade in order to give the island a relay team. Retired PE teacher and former English Schools Athletics team manager Dave Legg will be in charge of Guernsey's athletics team at the Games.